An ancient princess has arrived to claim what is rightfully hers! Universal pictures released an action-packed second trailer for their upcoming reboot of 'The Mummy'. The trailer starts with an intense firefight and an explosion which nearly sends Nick, played by Tom Cruise to his death in the sinkhole.He makes himself a part of an expedition with Jenny, played by Annabelle Wallis. A menacing ancient statue rises from a pool of water, Nick staring it down, and from there the real trouble arises. His plane winds up being attacked by a swarm of birds, and while Jenny parachutes out in time, Nick seems to still be inside when it crashes. With a jolt, he regains consciousness in the morgue only to meet with Dr Jekyll to learn that the bomb accidentally revived the mummified soul of a murderous ancient Egyptian princess. 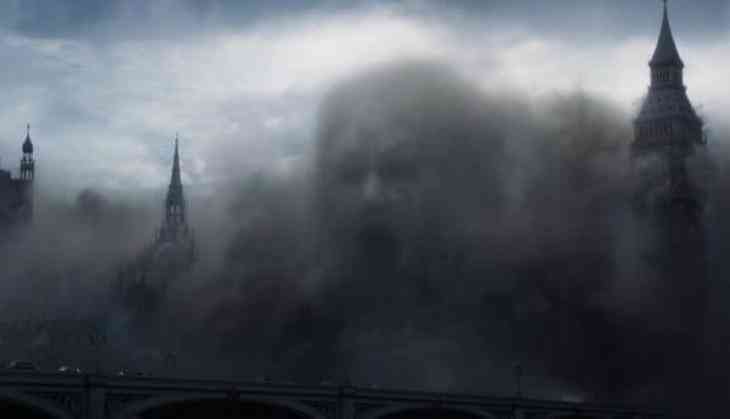 The trailer ends with Ahmanet's face as a massive cloud which can be seen rising over the Thames. The trailer looks more action-packed than horror. This movie is the first official release in the new Universal Monsters shared universe. Helmed by Alex Kurtzman, the flick stars Tom Cruise, Annabelle Wallis, Sofia Boutella and Russell Crowe in important roles. The movie is scheduled to release on June 9.